One of the scariest sentences a business owner can hear from their IT professional is, “We were breached”. Businesses rely on information technology more than ever in order to sustain growth, revenues, and efficiency. With the appropriate use of technology businesses have been able to reduce overhead and scale exponentially. With every benefit to using technology to advance your business comes the possibility of breach, IT downtime, and a plethora of other issues that can define a business for the worst. Medical professionals have been ramping up security more than ever to ensure that the personal data they have stays safe. Medical data is 10 times more valuable than credit card information these days after all and a patient is less likely to use a doctor that has suffered a catastrophic IT security failure. Banks and large enterprises are under the same stresses to remain compliant to their industry’s regulatory requirements while at the same time maintaining profitability. 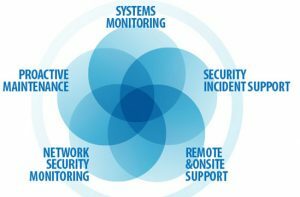 Plaric IT, a security first IT Organization, has a streamlined process of ensuring regulatory compliance and security best practices while at the same time reducing the organizational overhead and stress that comes with having an in-house IT department. Reach out to Plaric IT and see what we can do for you to mitigate these fears. Let us handle the stress while you focus on growing your business!